Acting High Court judge Justice Stanley John, on Thursday, dismissed the two petitions filed by candidates for the main opposition New Democratic Party in the December 2015 general elections. 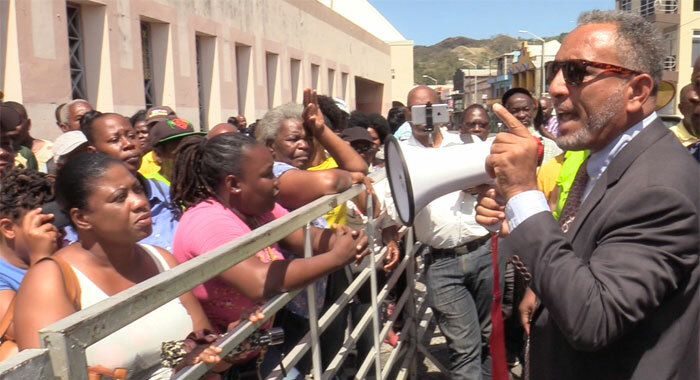 Lauron “Sharer” Baptiste was challenging the announced victory of Montgomery Daniel of the ruling Unity Labour Party for a fourth consecutive term in office. The NDP’s Benjamin “Ben” Exeter was asking the court to overturn the announced victory of Sir Louis Straker of the ULP. Sir Louis came out of retirement after five years for another go at the polls in a district that he had represented for four terms. 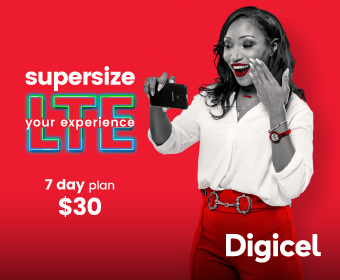 The ULP was declared winner of the election by eight seats to the NDP’s seven, thereby securing a fourth consecutive term in office. In dismissing the petitions, Justice John said that while many issues had been raised during the trial, the only evidence he had found was of partiality towards the ULP’s candidate by the returning officer for Central Leeward, Winston Gaymes. “Some of the more important issues that have arisen in the case were: Were the ballot boxes used in the conduct of the election in compliance with the law? Were ballot papers pre-printed with the official mark? Were Form 16 statements of poll provided at the final count for all polling stations? After voting, did voters fold the ballot paper in such a manner that the initials of the presiding officer and the official mark became visible only upon opening the ballot? Did the Supervisor of Elections provide polling lists for the constituencies of Central Leeward and North Windward to the candidates in accordance with the established practice? Was there evidence of breach of secrecy? Was there evidence of partiality? Was there a failure on the part of the respondent to provide a proper paper trail for the form 16 statement of the poll. “All these issues were canvassed during the trial and save for evidence of partiality, the court has found no evidence to support them. “It therefore follows and the court is satisfied that the issues conducted in Central Leeward and North Windward were conducted substantially in accordance with the laws as to elections in the State of St. Vincent and the Grenadines and the acts and omissions of the presiding officers and the returning officers were not such, either separately or collectively, to affect the final result of the result of the elections.” He declared that both Daniel and Sir Louis were validly returned as Members of Parliament for North Windward and Central Leeward. The court also ordered that the petitioners pay the respondent’s costs — to be assessed, if not agreed. Justice John said there are a plethora of decision cases in the United States and the United Kingdom as to how the court ought to approach election petitions. The judge, however, said that in the Caribbean region, the case of Quinn Leandro and Jonas is considered the most authoritative. He pointed out that in that case, the court ruled that an election court would not invalidate an election on the ground that there was substantial noncompliance with electoral law if the breach of electoral procedure stipulated by law was trivial. Accordingly, an election court would only invalidate an election on that ground if the judge were really satisfied that the breach was serious. Justice John said that what has emanated from all the cases is that each case must be decided on its own peculiar facts. He said that in the North Windward and Central Leeward case, the court had carefully analysed the evidence of each of the witnesses, particularly of the two petitioners. The court had also paid especial attention to the evidence of Maia Eustace and Shirlan Zita Barnwell, two lawyers who were also acting on behalf of the NDP on election day and during the final count. 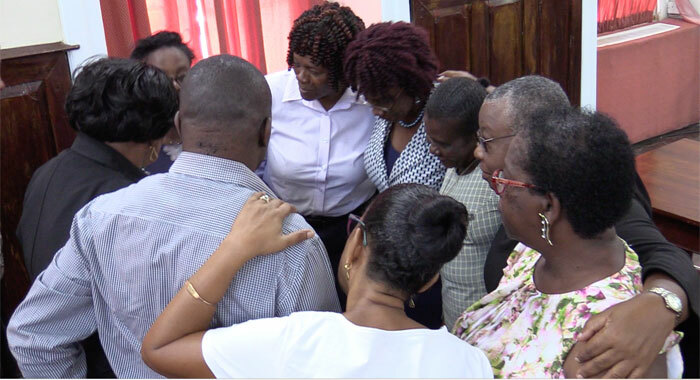 Also receiving special attention was the evidence of witnesses for the respondents, namely the Supervisor of elections Sylvia Findlay-Scrubb, the returning officers and the presiding officers, the judge said. 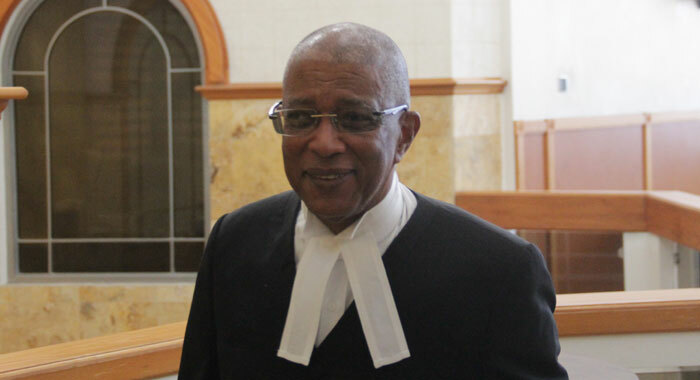 Justice John said that the court had noted, with a level of disquiet, the finding of the Organisation of American State’s electoral observer mission regarding the partiality of Gaymes toward the ULP’s candidate in Central Leeward. The judge said that “not surprisingly” Gaymes did not attend the hearing to give evidence and no explanation was proffered on his behalf. “Further comments about Mr. Gaymes are contained in the judgement,” Justice John said. He said that as previous cases have shown, mistakes have been made in almost all elections. “But it is necessary for the court to determine whether such mistakes were wilfully or erroneously done. That mistakes and or errors were made in the instant election is not in dispute. “The critical questions for the court’s determination are: Were the elections fair and free? Can it be said that the election was not conducted substantially in accordance with the law applicable to the election? Justice John noted that the petitions were concerned only with the North Windward and Central Leeward constituencies. Justice John said that during the court trial, he paid close attention to the demeanour of the witnesses. He said that the court had, uppermost in its mind, the legal authority that states that the major issue at stake in an election petition is not the private right of the petitioner but the rights of the public. “There should be free and fair elections held under conditions which could ensure the free expression of the opinion of the people,” he cited the authority as saying. …and there we have it!!!!! Errors of substance vs form!!! C-Ben, I cant wait to read your comments! Your analysis on this matter were spot on ab initio. Yes, AS I SAID AND AS WAS OBVIOUS:the judge showed bias throughout the trial; so now you Vincy “lawyer” and the other big ULP supporter C. Ben can celebrate. No where else would such “irregularities” be allowed to stand. Nowhere but our corrupt little banana republic in the Caribbean. ULP Supporter? Mr. I depend on no political party for bread nor butter. The difference with me and most lawyers, is that law is my passion, its my area of expertise. I do not let politics blind me. This was a case that was clear ab initio based on the petitions that i read extensively and the law. Go and do some research and see if my comments in relation to the judgment ever changed. Take the wool off your eyes and learn to think independently. Pleasant Friday and weekend! The blunders presented at the beginning of this trial were a clear confirmation to where the case was heading. The truth is: ‘If you start a thing badly it takes a long time to finish it, because the bad start seriously affects the later work’. Exactly what happened in this case, ‘but if you make a good start, everything follows naturally and easily. ‘For example if the foundations of a house are sound and well-constructed, the house is better built and put up more rapidly than if it has to be erected on faulty foundations.’ Am I surprised of the outcome? Not with so many well-read and experienced lawyers at stake on every aspect within the room. TRUST ME ELMA A LAW STUDENT FRESH OUT OF LAW SCHOOL COULD HAVE SUCCESSFULLY DEFEND THIS CASE ……..THIS WAS SO ELEMENTARY , I COULD HAVE DONE IT FOR A FRACTION OF WHAT THEY PAID THOSE OVERPRICED LAWYERS LOL . E.G THE LAW THE JUDGE QUOTED WAS CLEAR AND SIMPLE . …I AM SURE THE PETITIONER KNEW ABOUT THIS LAW . The case had no likelihood of success ab initio based on the pleadings. The pleadings were emotions, hear say and showed no legal impediment that would have overturn the election. The RPA was clear as day and based on facts, the judgment could have gone no other direction. I have done moots in law school that were more challenging. This time you make perfect sense Elma. As in the bible. We can’t expect a fair verdict from a corrupt court. I’M JUST HERE FOR THE COMMENTS ……..LOL ….AND OH “THE PETITIONERS MUST PAY THE RESPONDENTS COST ” SMH ..
AL it is the people of SVG that end up paying in the long term. It was clear as day that the judge was siding with the ULP. Look at the way he constantly talked to the lawyer for the petitioners, and how he blocked everything that would be too damaging to the ULP. No sympathy for wasting resources for 3.5 years!!!! Not even an ounce of legal jurisprudence that was worthy of people’s time. I wonder if the NDP will continue with their “de teif de elections” as their one tool as we approach elections? The independent voters are watching and waiting!!! My reading of our Representative of the People Act (1982) is that whether these mistakes were willful or not is irrelevant. If they were willful but did not affect the outcome, the election results should not be overturned; if they were erroneous but accidental yet affected the outcome of the election by having the wrong candidate declared the winner, the election results should be overturned. 2. The fact that the respondents’ costs were transferred to the respondents (something that may bankrupt both the respondents and the NDP) is telling since this is uncommon in such cases. It means that Justice John saw this whole case as a frivolous one, as have others like myself. Indeed, if an appeal takes place, it may be on the basis of the assessment of costs which the petitioners may have a chance of winning. 3. From a political perspective, if the petitioners don’t appeal, this is tacit admission that they accept the judgment; if they do appeal and lose, which is 100 percent certain because the appeal juridiction is not at a higher court level but in the same Eastern Caribbean Supreme Court with some of its justices acting as a court of appeal where it is highly irregular to overule one’s equal jurists (vs. an appeal to the higher level Privy Council, something not allowed for election cases). With another loss, the NDP will be far less likely to form government after the next election than they would be had they they never appealed the free and fair 2015 elections. No wonder this Party has been lost in the political wilderness since 2001! 4. Again from a political perspective, South Leeward parliamentary representative Nigel Stephenson’s Facebook page comment that this judgment has, “… effectively legalize[d] thiefing in elections” ( is truly a contemptuous comment deserving legal prosecution. Again, with representatives like this no wonder this Party has been lost in the political wilderness since 2001. 5. Sir James Mitchell has been correct on this issue from day one. He built a strong and successful party from the ground up only to see it potentially relegated to the dustbin of history. This is no exaggeration: if the Party can’t pay the costs (which surely include much or all of the expenses of the two petitioners), it may simply declare bankruptcy and disappear from the face of the earth. When the original judge in charge of these petitions by magic had other cases put onto her schedule so that she could not preside over the trial, everyone should have noticed that something rotten was going on. It is obvious to me from seeing how this trial was conducted from the very beginning, how it was going to turn out. All the over-whelming evidence seems to have been ignored. The most important part of this trial is the precedent that it sets. FROM NOW ON, BECAUSE OF THIS TRIAL, ALL OF THESE “MISTAKES” WILL BE ALLOWED IN ALL FUTURE ELECTIONS!!! Saint Vincent just seems to be sinking deeper and deeper into a model of (approved) either incompetence or corruption or both. what we are left with is a bitterly divided country that has no prospect of healing any time soon.Its time for Friday to lead and stop being a follower he has to put his stamp on his party.NDP has Mitchell faction,Eustace faction and who ever else faction.A house divided ………..
You dissected every every testimony for the respondent witnesses. Now the result of the Petitions is out I only see you publishing one headline about it. It only showed your bias and lack of professionalism in your reporting.